What are your plans for Ganesh Pooja which is just a couple of days away? 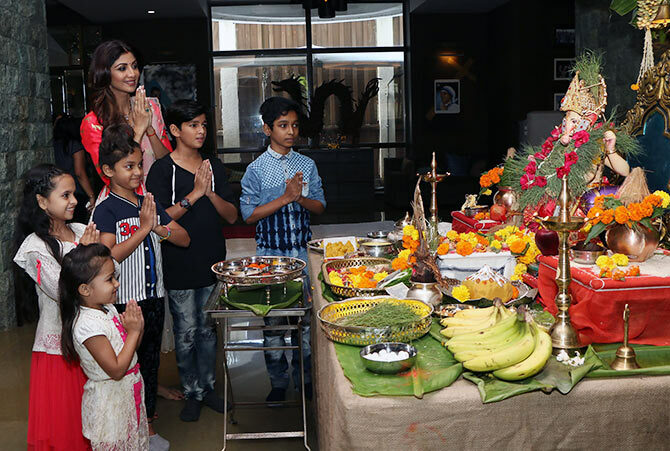 Of course, besides making yummy sweets, desserts and other mouth watering delights, you would also be busy making your pooja room squeaky clean so you can adorn them with fragrant flowers. 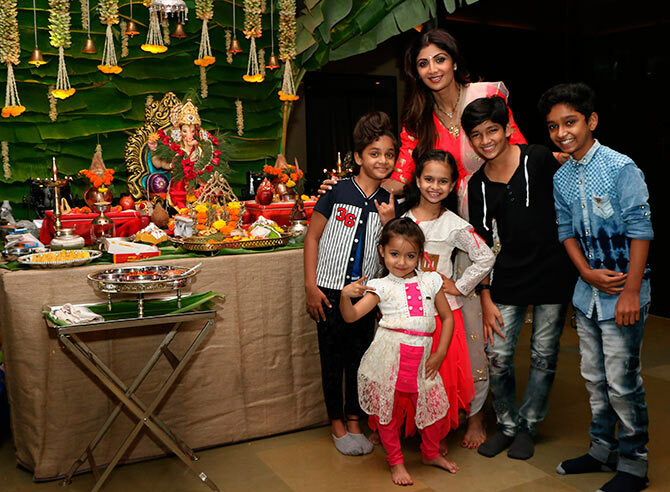 Not to mention your kids (if you have) curiosity in finding what you are up to, your persistence attempt in dressing them up to look desi, there are many crucial backstage activities which needs your undivided attention. There is no denial that lots needs to be done on short time. Oh! Then there are your relatives and neighbors who are eager to share their wishes with you! Amidst all these chaos, does dressing up to look good seem a distant dream in far away horizon? That’s fine. Being a women might take a toll on big days, but believe us, with proper planning and care, you can nail the day! And looking good, not for others, but for yourself, is something you should never skip owing to time pressure. 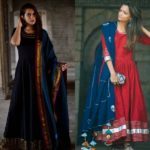 Here below, we have carefully picked up 15 outfits that will give you plenty of ideas to look graceful on this Ganesh Pooja. We have considered time factor, and ease of wearing for your convinence! Let’s get started. Just few days back, we saw how aesthetic these Kalamkari prints are! Bring them on to table and style it in a classic way on this festive day. 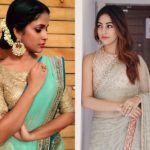 Either you can opt for simple plain saree and pair with Kalamkari blouse, or you can go for a Kalamkari sarees and pair with a chic blouse. Either way wear these beauties to look artistic for Pooja. 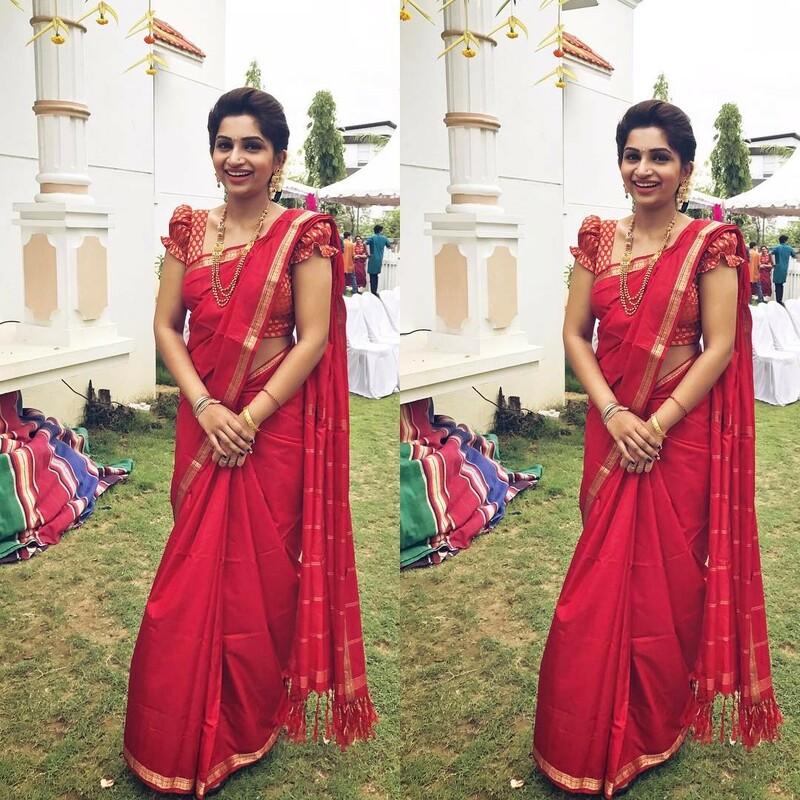 Do you think sarees don’t sit well on you? That’s okay. Try the equally attractive maxi dress either in silk, or cotton. It will not only save time, but also make you look stand out. Wear gold jewelleries, deck of bangles and a row of flowers to give traditional vibe. Nothing can beat a woman, who opts for a high bun with jasmine. Throw a pair of jhumka, bold bindi, bright lips and wrap up the look with a soft handloom saree; we are sure it will be majestic. Does your naughty kids giving you hard time, or your favorite dish plunging you in heavy work! Time might be of great constraint in family pooja days, so better be prepared and keep your ethnic salwars ready. Has it been ironed out properly? Do you have accessories ready? Check them out today itself. Traditional festive days are more about giving a warm fussy feeling to your family by doing things that matters most to them. Your dress can even reflect that. If you are a saree lover, then you might sure be lusting over your mom’s and even grand mom’s collection. 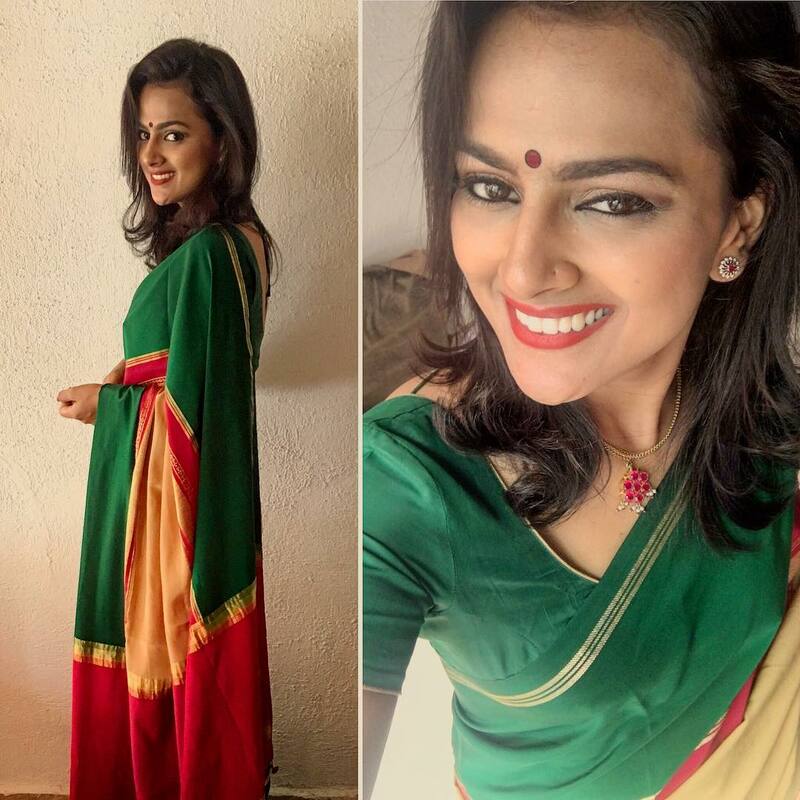 Sarees with check prints, parallel lines, and temple borders might safely be tucked inside your mother’s wardrobe. 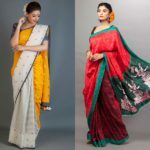 Nothing can make you feel so authentic than these classic sarees from past era. Didn’t we saw even celebs are taking break from their saree look and trying out these gorgeous floor length ensembles? 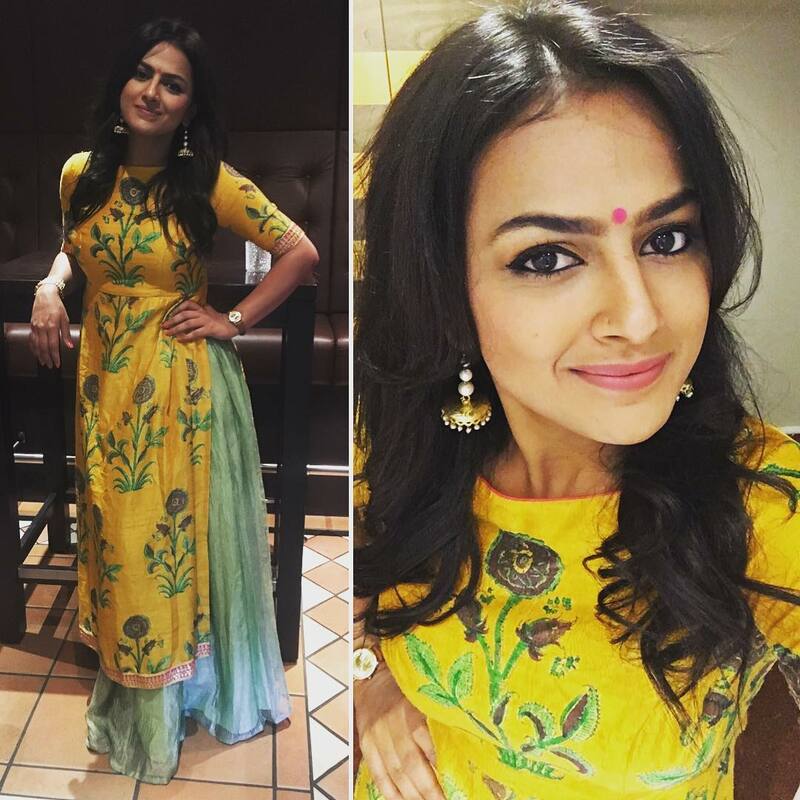 If you are lucky to have one already on your wardrobe, do give this fuss free outfit a try this time. Okay no worries, if you don’t have floor length suits then go for a good Anarkali with fine dupatta. Even if you have just a couple minutes to get ready, you can make that work with a simple anarkali and pair of jhumka! Be ready to surprise everyone by getting ready in matter of minutes. 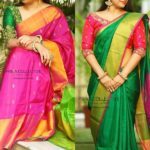 Are your plans to wear a good silk saree got dashed due to immense work! Don’t worry. 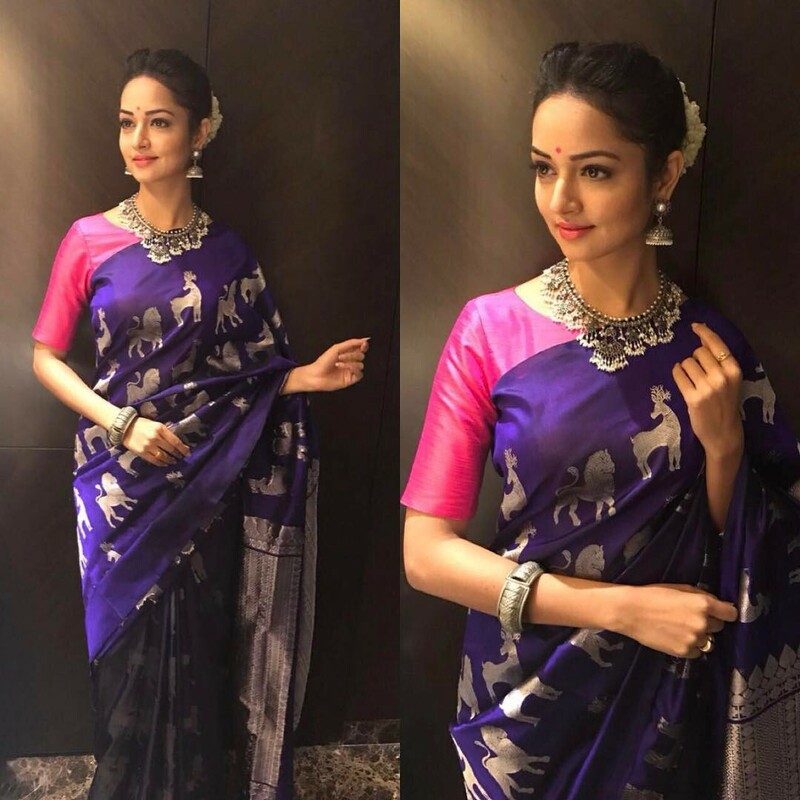 Wear simple sarees instead that can be easily pleated in short time and pair it with a designer blouse to compensate. 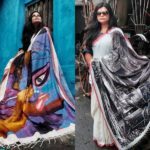 If you have bold classic printed sarees that you have bought ages ago for its artistic feel, then wearing them in occasion like this is the right justice you can do to it. Some blouse designs are right away meant to look more traditional and homely. One is this elegant puff sleeve blouse. 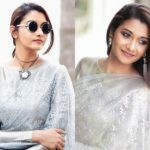 If you are always used to wear kurthas & salwars, and just want to surprise everyone with a nice saree, then do wear it with a puff sleeve blouse. Braid your hair and adorn them with flowers. Wear long haram and jhumka to up the graceful look further. You are set to lighten up the day. Soft light weight cotton sarees paired with oxidized silver jewellery is a trend that’s going strong this season. Even the other outfits which we discussed earlier might not be there on your closet. 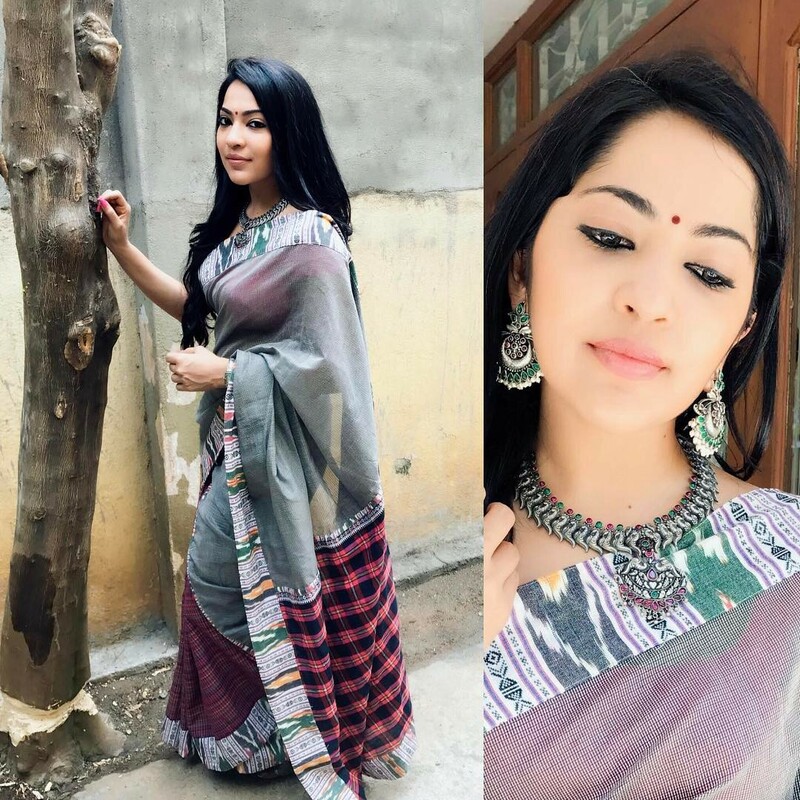 However, getting a cotton saree and few silver pieces is something you can definitely do. 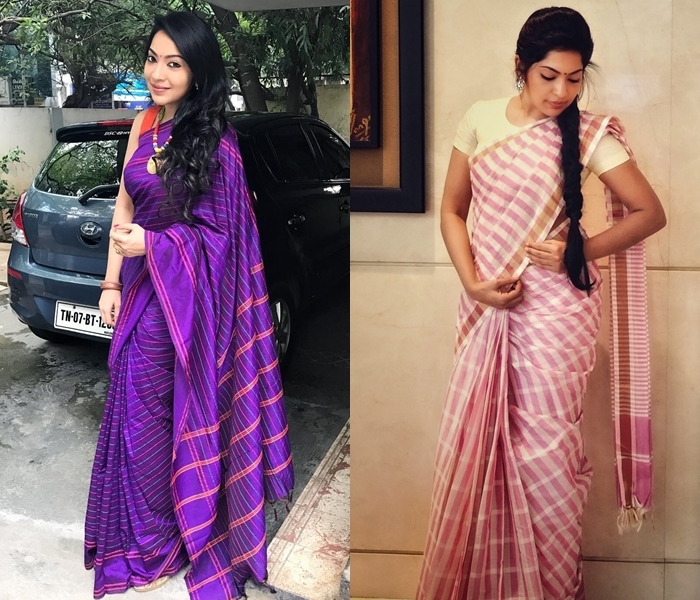 If you have been following saree trend of this year, you might have already known, the fancy, women have for these bold prints. In that case, your recent purchase would have already found this delightful animal prints. Go, give them a try on this pooja day. Have a silk or cotton kurtha, wear it with a plain skirt. If you are crushing for time, this would help you quicken up the things. 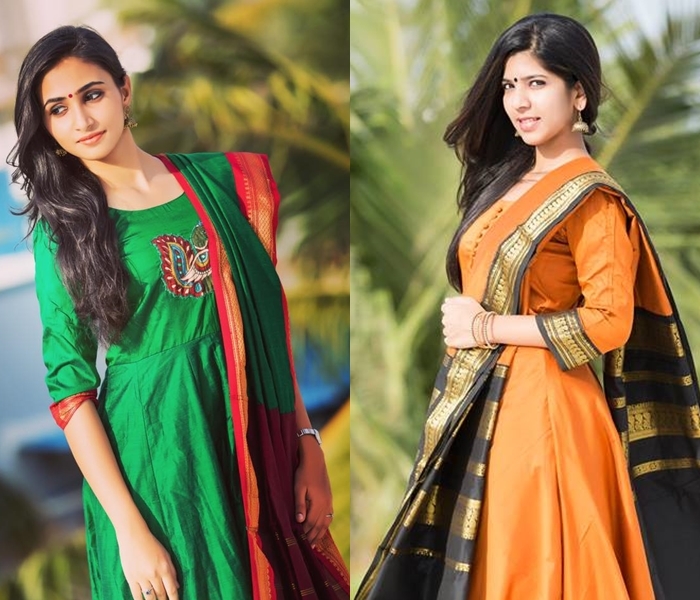 What we would advice is, If you have already planned for a saree look, keep a good kurtha and skirt ready as a backup. Incase if you can’t hit your primary choice, then go down to the backup outfit in no time. How can we even forget the glorious lehengas? Do you have them? Dust it off and keep it ready. 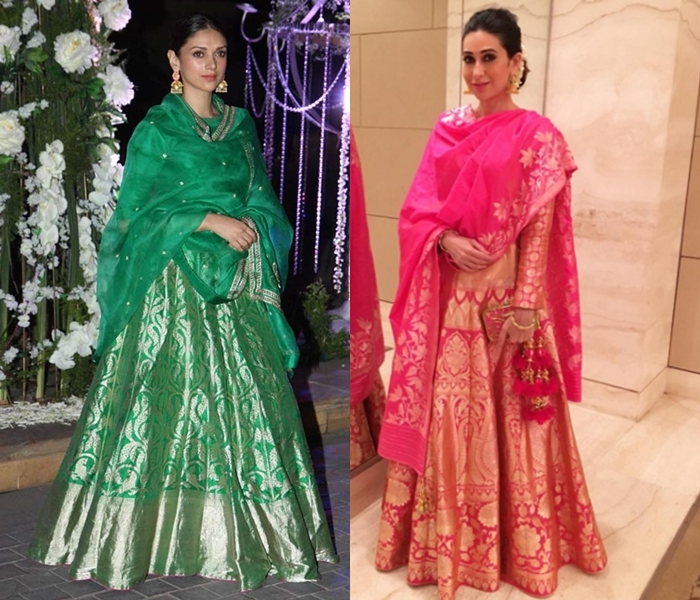 We would advise you to try silk lehengas compared to designer lehegnas as it would be in sync with the event. 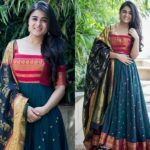 If you are a teen, then chances are you might be having colorful half sarees sitting tight on your closet. Bring them to surface and enjoy the auspicious day. Dear women, your heart to do everything that matters most to your family is highly understandable, but the pressure of being a women doesn’t necessarily need to keep you away from things that matters to YOU the most. So invest some time for yourself too and look best! May God bless you and your family with everything! 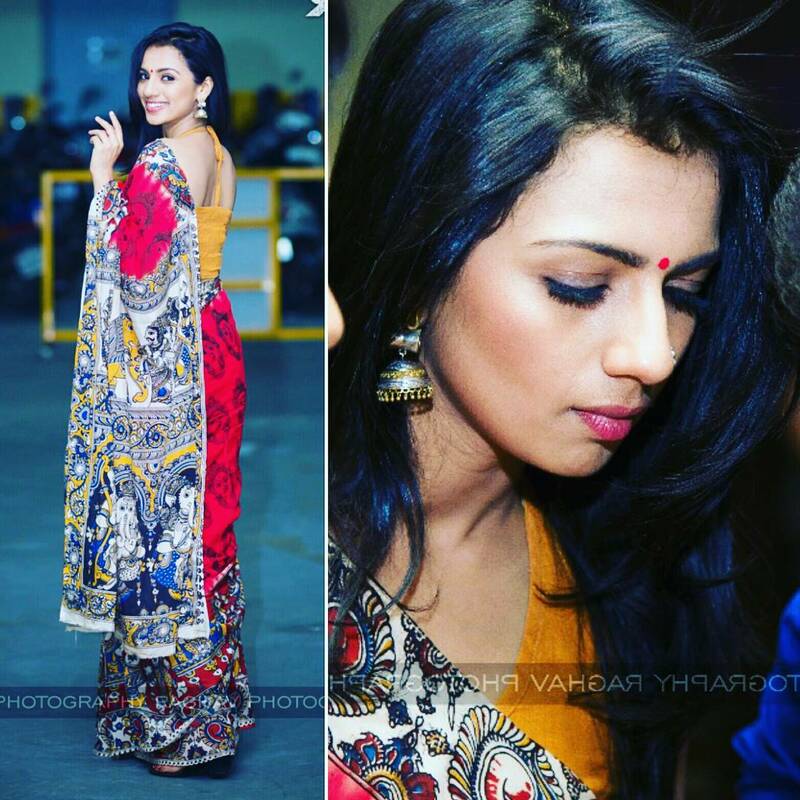 Now tell us your outfit picks to rock this Ganesh Pooja! 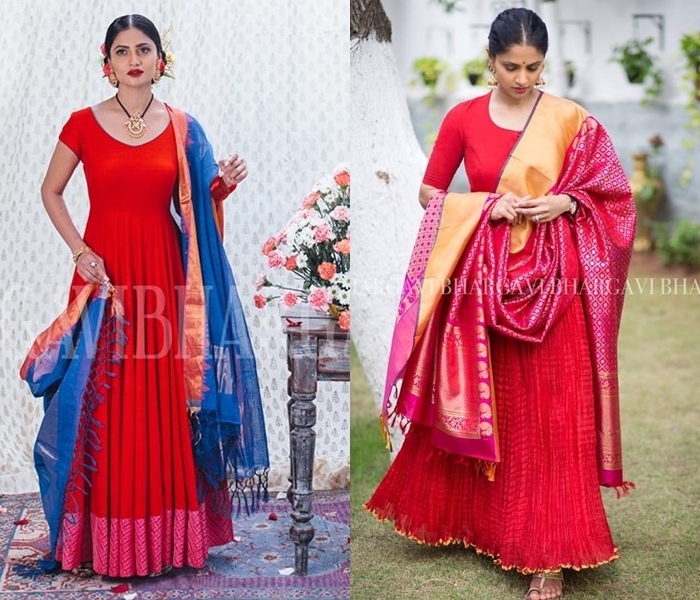 Previous articleGet Creative with Your Two Color (aka Double Color) Sarees! Next article23 Latest Diamond Earrings Designs That Will Stun You!